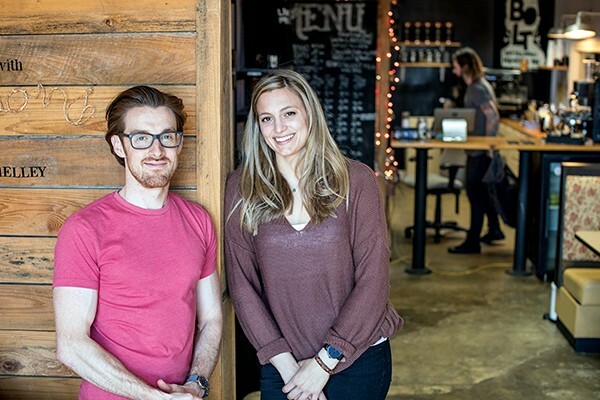 Grind City Coffee Expo set for March 9th; plus Comeback Coffee and Vice & Virtue. Is Memphis in a coffee renaissance? It may be too soon to tell. But something certainly is, ahem, brewing. For proof, look to all the third wave places like Launch Process and Low Fi popping up. Our next piece of evidence is the Grind City Coffee Expo, set for March 9th at Memphis College of Art. Daniel Lynn and Rachel Williams are the event's organizers. "It's a way to bring Memphis coffee [purveyors] together under a neutral roof," says Lynn. "And it's a way to expose Memphians to what [these purveyors] have to offer." Guests will be given a tasting card and a five-ounce tasting mug to sample coffees from the nine vendors who will be at the event. The vendors include: Dr. Bean, Vice & Virtue, Comeback Coffee, The Avenue, Awal Coffee, The Hub, Reverb, Launch Process, and French Truck. Each, in turn, will offer something special for the show. Vice & Virtue is bringing a mini-roaster and guests can roast their own beans. Comeback Coffee will have coffee sodas(!). Lynn says he was inspired to create the expo after attending the Science of Beer event, though he acknowledges "coffee's more of my speed." Lynn notes that he's learned a lot from setting up the expo. For example, "spro" is short for espresso. "Coffee is almost like a plate of barbecue," says Lynn. "It's something you can bond over." Tickets are $30, with proceeds going to Protect Our Aquifer. Grind City Coffee Expo at Memphis College of Art, Saturday, March 9th, 10 a.m.-2 p.m.
Comeback Coffee, set to open in Uptown March 29th, has a lighted sign on the wall that reads, "Stay a while," and they mean it. Comeback is owned by Hayes and Amy McPherson. Hayes marvels at the variety of potential customers. You've got your Uptowners, your St. Juders, North Memphians, Mud Islanders, and so on. "All those people can rub shoulders," he says. Hayes vows that Comeback will be quick and consistent. He plans on a little quality pushing. What this means is that there are no fancy pour-overs; drinks will be made by machine but from the finest sources. Folks can "sit and be," he says. Plus, price points will be reasonable. There will be classic coffee drinks as well as seasonal and specialty drinks such as mochas. A giant espresso machine sits on the counter just waiting to hit customers with a caffeine buzz. In addition, a menu, designed by noted local chef Cole Jeanes, will feature pastries, sandwiches, and toasts. Comeback is in a pretty, old building on North Main. There is exposed brick and large windows on the west side. The McPhersons, who live upstairs, had taken note of the building, fantasizing what they could do with the space. Amy's father is in commercial real estate. He had, on his own, taken interest in the building as well. The two sides compared notes and decided it was meant to be. Hayes says he's excited about the upcoming expo. "We've needed this for a long time," he says. "We on the cusp of a coffee culture." Wee beginning roasters often start with an air popper (meant for popcorn) to roast their first beans. 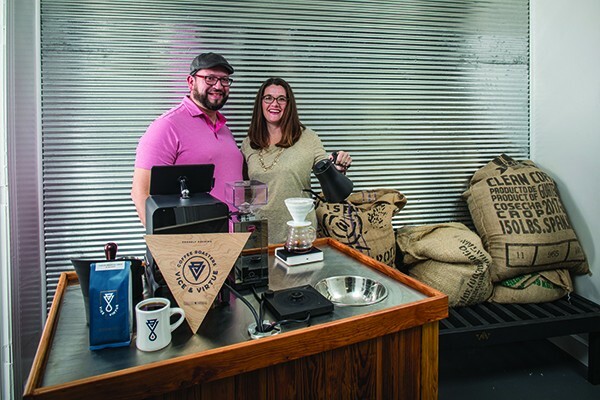 Tim and Teri Perkins of Vice & Virtue Coffee did and quickly moved on to a whirley pop, trading up to better equipment as their knowledge grew. They are currently working out of a space on Hollywood with a commercial roaster and hope to eventually open a small shop of their own. Their coffees are currently available at Curb Market, Cooper-Young Community Farmers Market, Belltower Artisans, City Silo, the Grecian Gourmet Taverna, and at the roastery. Tim calls this a passion project, but this is an obsession of a Fatal Attraction variety. They travel to conferences, take classes. They talk, talk, talk coffee and never get sick of it. They caught the fever when they heard their first bean crack. On the name, it involves Aristotle, the human condition, good versus evil. "It appealed to us," says Tim. "I'm vice, she's virtue." Tim points out that the "v" in the logo is actually a martini glass, which points to the notion of craft coffee moving into the craft cocktail space and the Perkinses' plan to serve coffee cocktails one day. The Perkinses say they've enjoyed learning about different beans from different countries, experimenting with coffee, and coaxing out the best flavors. "We know what we're doing, but we can get better," says Teri. At the expo, Tim plans to walk guests through the roasting process, having them immerse themselves in the sensory experience. Like the McPhersons, the Perkinses say the expo is a long time coming and that Memphis' coffee community has thus far been underserved. "It's a craft," says Tim. "It's an artform." 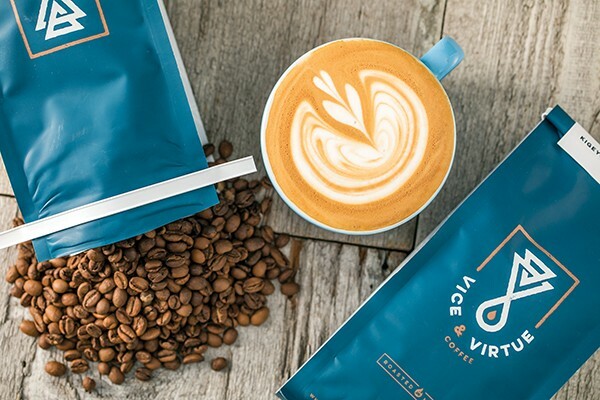 Vice & Virtue offers cuppings on the first Friday of the month, from 6:30-8 p.m., at the Hollywood roastery, in conjunction with Broad Avenue First Friday. The next cupping is March 1st and will have a March Madness theme, where tasters are put to the test. Cost is $5.